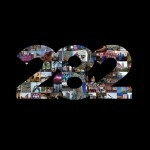 Update (Feb. 21, 2012, 7:03 p.m.): Click here to watch the Feb. 20 “282” if you missed the live-stream on Monday or the Monday-evening broadcast on WTVI. The upcoming seventh CIAA Tournament in Charlotte, what it has meant to the city, what it has become and where it is going. LGBT people and the church, following one Charlotte Catholic church’s dismissal of their gay music minister after his recent marriage in New York. Sue Myrick’s decision not to run for reelection and the resulting shakeup her decision is causing in local politics as area Republicans (count’em — nine so far) have jumped in the primary to replace her. You can watch a live stream of the taping at noon on http://cltblog.com/live. The show will also air tonight at 6:30 p.m. on WTVI.